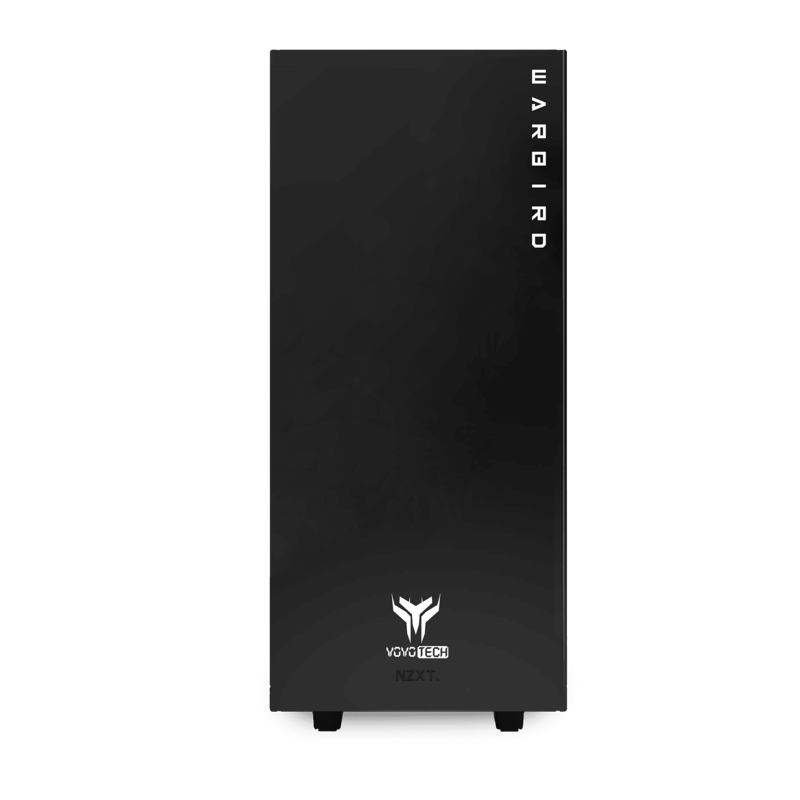 Start venturing into the 4K gaming territory with the Warbird i7 Ultra RTX. 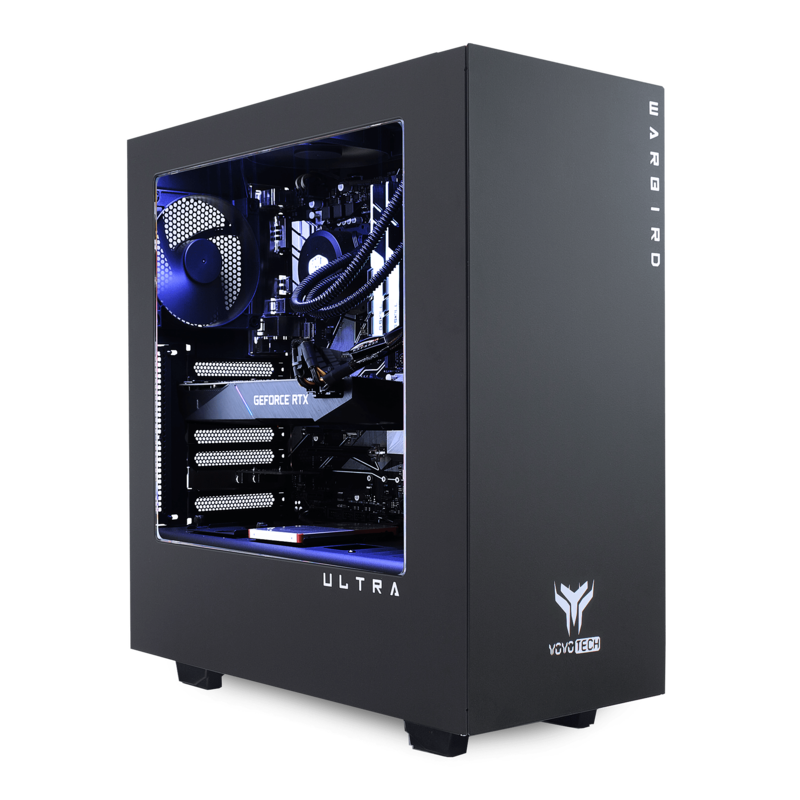 With an overclocked 8th Generation Intel® Core™ i7 Processor and the incredible performance of the NEW Nvidia RTX 2070 8GB Graphics Card, the Warbird i7 Ultra RTX is the penultimate gaming PC. 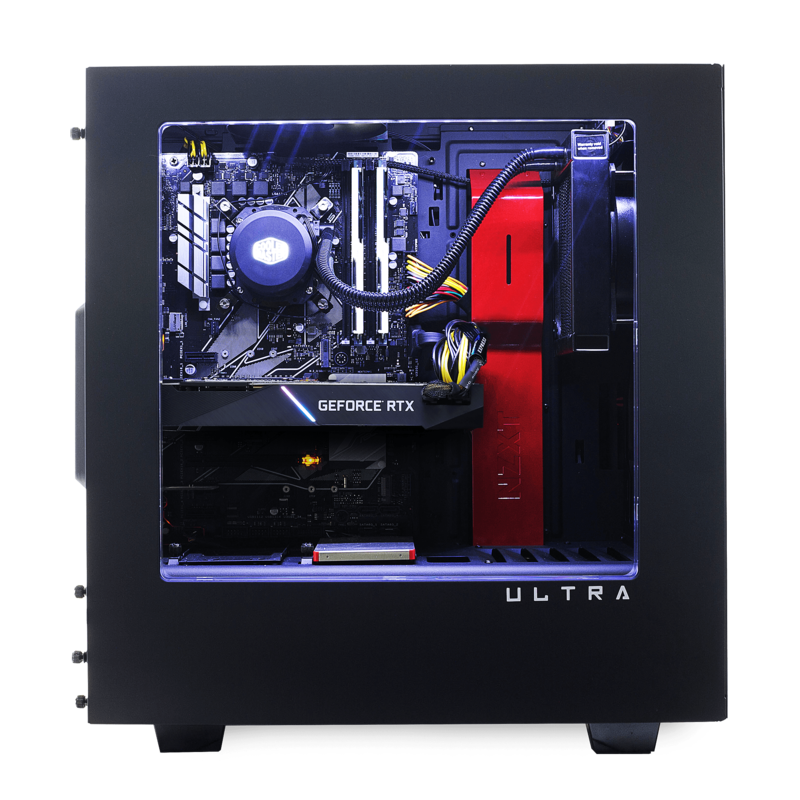 Dominate any game you can throw at this PC and play on ULTRA settings to get the most immersive gaming experience. 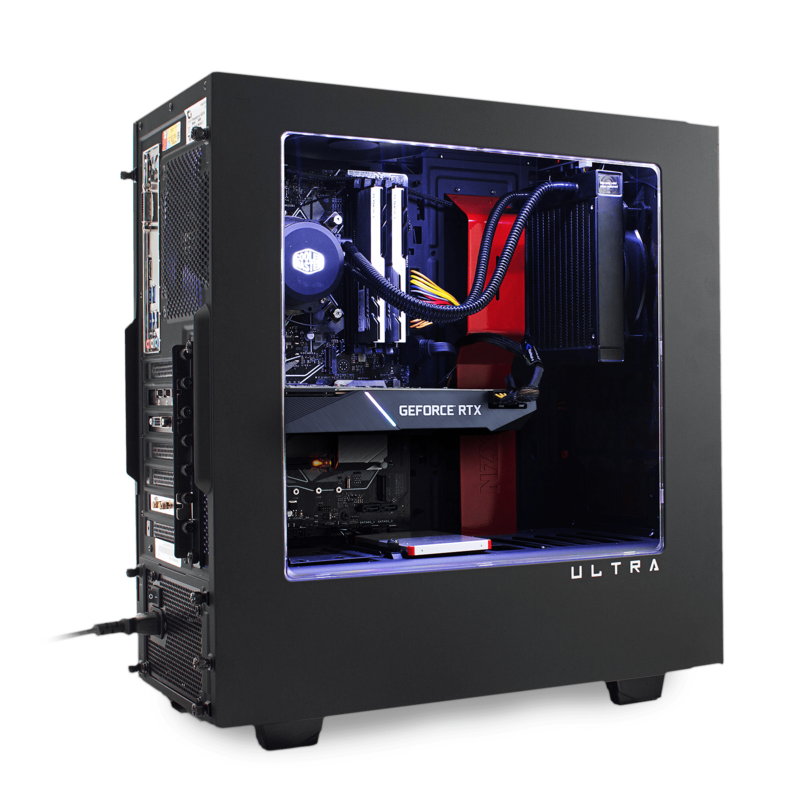 Our ULTRA models feature a built in Water-cooler providing superior cooling to an air-cooler, helping you reduce unwanted system noise and enable us to overclock the processor further for improved system performance. Water-Coolers are a sealed unit that doesn't require maintenance or filling. The i7 Ultra RTX offers unrivalled gaming performance. Dominate any game you can throw at this PC and play on ULTRA settings to get the most immersive gaming experience. The 8th Generation Intel® Core™ processors redefine mainstream desktop PC performance with up to six cores for more processing power—that’s two more cores than the previous generation Intel® Core™ processor family—Intel® Turbo Boost Technology 2.0 to increase the maximum turbo frequency up to 4.7 GHz, and up to 12 MB of cache memory.1 Intel® Hyper-Threading Technology (Intel® HT Technology) delivers up to 12-way multitasking support in the latest generation of Intel® Core™ processors.